There’s no other medium that gets the user’s undivided attention like print does – be it a book, newspaper or magazine. Magazines and newspapers have diverse readerships, and each of those readers enjoy their own reading ritual – on the couch with a cup of tea, in their favorite coffee house drinking an americano, even on their commute. This level of reader diversity challenges publishers and marketers to use big data to create relevant and reader-centric advertisements. This revolutionary transformation in magazine printing technology creates new opportunities for data-driven, personalized content. That’s why locr has introduced a marketing opportunity for personalized magazine ads. 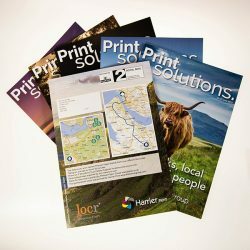 The locr GEOadverts let publishers drive engagement for advertisers with digitally printed, personalized magazine sections. GEOadverts are fully personalized advertisements based on the geodata derived from a magazine subscriber’s postal address. No other personal data or online behavior profiling is needed. Marketers use GEOadverts to easily segment their audience based on location to create relevant ads that drive engagement. And they need nothing more than the data you already have – your subscribers’ postal addresses. A GEOadvert can automatically select a brand’s nearest location to a subscriber’s home. It can support messages personalized to the subscriber that include the actual driving distance or travel time involved. GEOadverts can display a map for each selected brand location or a fully personalized route map to show each subscriber how to get there. In the UK, Earth Island, a business magazine publisher for the printing industry, created an edition with a fully personalized front and back cover. The aim of the edition was to promote the environmentally conscious and local ethos of the paper merchant. 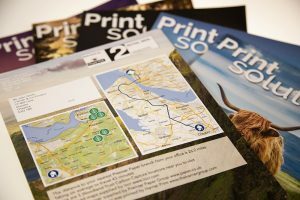 Each cover included two personalized maps showing the route from a leading paper merchant’s local branch to each subscriber and each subscriber’s nearest woodland locations. Learn more about this project in the Case Study. Discover Your Oportunities with Geomarketing!